DEALING WITH A DRAIN CLOG? Clogged drains are incredibly frustrating. 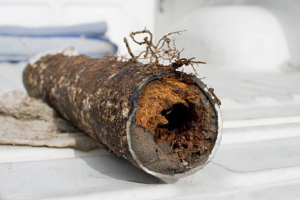 Not only do they prevent you from using your sinks, shower, tub, or toilet—repeated or frequent clogs can also be a sign of a much larger issue, such as a clog in the main sewer line. If you need drain cleaning services, rely on the expert plumbers at Definitive! For nearly 25 years, we’ve been serving the local area with exceptional plumbing services, including comprehensive drain cleaning. Our technicians undergo rigorous yearly technical training that allows them to provide you with exceptional services every time. When you call on us, we guarantee that we’ll arrive on-time within the given time frame and we stand behind all our work with service warranties on parts and labor. 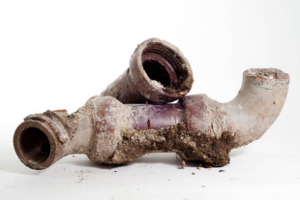 WHAT ARE THE COMMON CAUSES OF CLOGGED DRAINS? Unfortunately, clogged drains are one of the most common indoor plumbing problems. Over time, accumulated hair, soap scum, and dirt can lead to reduced water flow and clogs. No matter the cause, a clogged drain can be a real headache for homeowners. While it may be possible to effectively address some clogs with the use of a plunger or DIY drain-snaking, severe clogs will likely require the assistance of a trained professional. Additionally, if you begin to notice repeated or reoccurring clogs, you may have a problem with your main water or sewer line. HOW CAN I PREVENT DRAIN CLOGS? 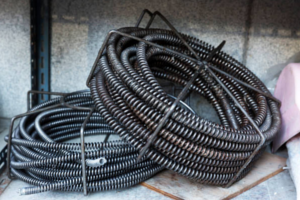 Thankfully, drain clogs are fairly easy to avoid by making a few key changes. Using less toilet paper and refraining from flushing any non-waste or toilet paper items can limit toilet clogs. Using a hair trap in the shower can help you avoid shower or tub drain clogs that often result from hair, soap scum, and other product buildup and ensuring that your garbage disposal is only used for approved food items can reduce the number of kitchen sink drain clogs you experience. Of course, drain clogs aren’t entirely avoidable. When they do occur, turn to the highly-trained plumbers at Definitive for outstanding drain cleaning services. We’re ready to assist you NOW! We even offer same day service and emergency drain cleaning so you can get back to enjoying your home and living your life.